Anne Arundel Community College offers programs that lead to an associate degree (A.A., A.S., A.A.T., A.S.E., or A.A.S.) or certificate and areas of study that lead to a letter of recognition. Students may enter a major designed to transfer to a four-year institution, or one that prepares for immediate entry into, or upgrading in, a career. Requirements for each area of study, as stated in this catalog, may be altered only by petition to the college. For assistance, contact an academic advisor. The Associate of Arts (A.A.) degree recognizes mastery in the liberal arts and in the fine arts. The Associate of Science (A.S.) degree recognizes mastery in science or technology. The Associate of Arts in Teaching (A.A.T.) degree is designed for transfer to a four-year institution to obtain a baccalaureate degree and teacher certification. The Associate of Science in Engineering (A.S.E.) degree is designed for transfer to a four-year institution to obtain a baccalaureate degree in engineering. Associate degree programs consist of general education courses, area specific courses and electives. To qualify for an associate degree, students must complete the minimum number of credit hours required in their program and earn a cumulative grade point average of 2.0 or better. To assure that associate degree students meet the general education requirements defined by the State of Maryland, each associate degree program includes a distribution of general education credits. Courses which meet general education requirements must be approved general education courses. A complete list of approved general education courses can be found in the General Education Requirements and degree program required courses section of this catalog. The following general education requirements are incorporated into all A.A., A.A.T., A.S. and A.S.E. degree areas of study. A minimum of 34 general education credits distributed within the following categories. Two arts and humanities general education courses. These courses must be from two different disciplines and have different course prefixes. Two biological and physical sciences general education courses; at least one of these must be a laboratory science course. One three-credit health/fitness/wellness general education course. One mathematics general education course. Two social and behavioral sciences general education courses. These courses must be from two different disciplines and have different course prefixes. One additional general education course from computer technology, interdisciplinary studies or mathematics. Demonstration of competence in computing and information technology as defined in the General Education Requirements and degree program required courses section. (An exception is made for students who officially entered their associate degree areas of study prior to the fall 1995 term and who have been continuously enrolled.) Regardless of how computing and information technology competency is met, students must complete the number of credits required by their degree programs. Complete a designated sequence of courses within a program. Note: Associate degree students may enroll in an Explore program (A degree designed to allow students to become familiar with options within a given field of interest). In this degree, students complete courses common to a particular field of interest, and may take an explore course that provides more in-depth exposure to a particular major in that field. Once students have earned 20 credits in an Explore program, they will be required to meet with an advisor prior to registration. The Associate of Applied Science (A.A.S.) 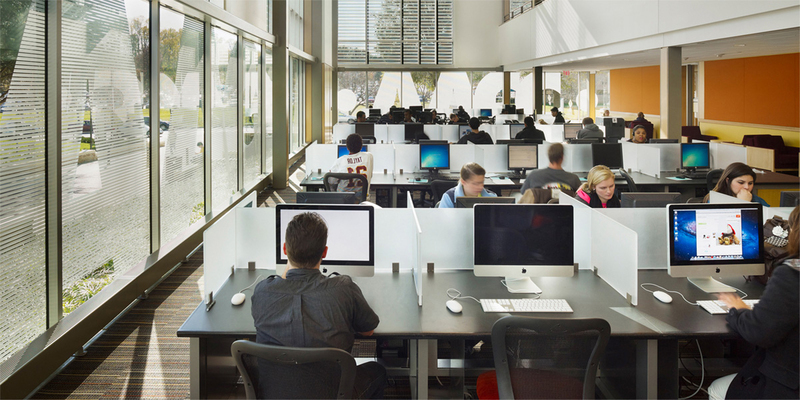 degree is designed primarily for immediate employment and is identified with a specialty designation, e.g., computer technology, engineering technology, etc. In the Majors & Programs list, career programs are designated as Associate of Applied Science degree or Certificate or Letter of Recognition areas of study. Career programs are for students who intend to seek employment upon graduation. Associate of Applied Science degree (A.A.S.) programs include specific career courses leading to employment in a specific occupation, in addition to general education courses that provide the basis for a well-rounded college education. Certificate programs, usually about 30 credits, are designed for those who wish to develop or upgrade their job skills. Nearly all courses in the certificate programs relate to the skills required by the career field. Letters of recognition are awarded to students who complete a shorter prescribed sequence of courses required for employment enhancement in a specific employment area. While the primary objective of career programs is job entry, a growing number of graduates in career areas of study are transferring courses to specialized bachelor degree programs at bachelor’s degree-granting institutions. One arts and humanities general education course. One biological and physical sciences general education course. One social and behavioral sciences general education course. One additional general education course from biological and physical sciences, computer technology or mathematics. Demonstration of competence in computing and information technology as defined in the General Education Requirements and degree program required courses section. Regardless of how computing and information technology competency is met, students must complete the number of credits required by their degree program. Every associate degree program includes the general education credit hours required by the State of Maryland. Students should consult their individual areas of study to see how general education requirements are met in those areas of study. Note: It is extremely important for transfer students to consult with an academic advisor when choosing general education courses. Each transfer institution has slightly different requirements. If students know their transfer institution, an advisor can help them select courses that will fulfill its requirements. When students are unsure of a specific transfer institution, an advisor can help them choose courses that are most widely transferable. The college offers certificate programs for those who wish to gain a credential for acquired knowledge, skills and abilities focused in specific discipline areas. Most certificate programs are designed to assist students with goals for upgrading skills for immediate application in employment. Many certificates are designed as units within associate degree programs (see elsewhere on this page) and can be acquired in the process of seeking an associate’s degree. Certificate programs require a minimum of 12 credits (at least 50 percent of the total credit hours in the program must be earned at AACC) or more and demonstrated ENG 111 eligibility. See program descriptions, in Majors & Programs , for all Certificate programs, including those integrated within an associate degree program. Professional certification in Physician Assistant is available and has an entry requirement of a completed bachelor’s degree program. See Physician Assistant Studies, Professional Certificate for qualifications and certificate requirements. Credit Letters of Recognition are awarded to students who complete fewer than 12 credits in a prescribed sequence of courses focused on acquisition of specific skill sets or of concepts within a specified context. Letters of Recognition often are part of certificate programs and, in turn, of associate degree programs. See Majors & Programs for all Letters of Recognition, including those integrated within a certificate and an associate degree. These Letters of Recognition primarily address career and professional development needs.